Formed from the union of two properties, the Cerulli and Spinozzi families created what today is the Cerulli-Spinozzi estate in the early 1900s. The estate lies in Abruzzo and covers approximately 48 acres. Brothers Vincenzo and Francesco undertook to build a new state of the art winery that was completed in 2003 and today, Vincenzo’s son runs the estate. Currently, the family are re-planting many of their vineyards to increase the vine density and focus on creating more intense wines. They are succeeding. I’ve written about their wonderful DOCG Montepulciano, Torre Migliori, before. Today, we’re featuring their unique white, Cortalto. With the warmer months coming, although it would be difficult to tell by looking out the window, TuscanVines will be test driving some recent vintages of our favorite white wines. 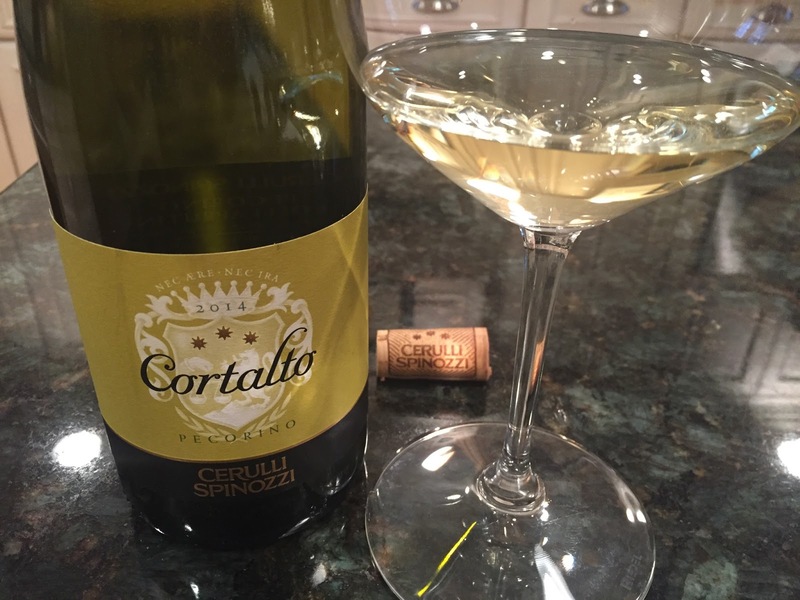 First in the que is the 2014 Cerulli Spinozzi Cortalto. A unique wine, Cortalto is made from 100% Pecorino grapes. Yes, the same name as the cheese. Pecora in Italian means sheep, hence the cheese bearing the name since it derives from sheep’s milk. On the other hand, the grape takes it’s name simply because the sheep have a fondness for eating it! The 2014 is fermented 75% in 500 liter oak barrels and 25% in stainless steel. The resulting wine is crisp and fresh, but has considerably more body than you might expect. Pale gold in color, the aromas are tropical and feature pineapple, coconut, lemon and white flowers. On the palate, there is considerable viscosity and body to the wine, but the pineapple flavors are crisp and lemony with flinty mineral notes accenting the finish. This is a delicious wine with enough body to stand up to seafood and lighter pasta entrees or as an accompaniment to prosicutto, etc… 91 points and a nice value around $15. Disclosure: This bottle was an importer provided sample.